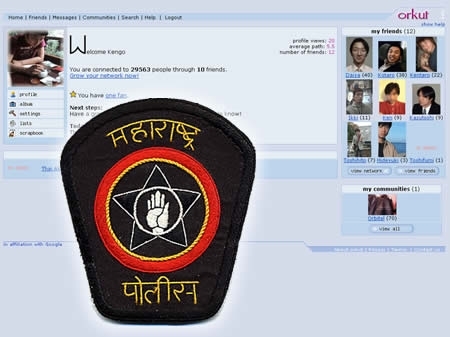 Social networks to be monitored by Mumbai police to keep a check on hate pages ! After observing an increase in the number of phishing attacks and several other cyber crimes, the cyber police have intensified patrolling of the social networking sites. Police, with the help of IT experts, will keep a check on any hate posts or groups created in cyberspace. The action reportedly came after the recent incident where Dr Babasaheb Ambedkar’s picture was defaced and it lead to riots in the Khar on Tuesday. Websites are patrolled round the clock to check for any objectionable content. Pages or groups that harm the sensitivities of people could be removed or the website could be brought down to avoid any incidents that could affect the law and order situation. All such hate postings will be forwarded to the India Computer Emergency Response Team (ICERT), a government body working under the ministry of information technology. The ICERT will then take up the matter to its logical conclusion by sending communication to these networking sites, asking them to block or remove the content and help trace the offenders. According to police, there was a group on a social networking site called I hate Ambedkar and they had defaced the picture of the Dalit icon. Such posts directed against prominent figures, that hurt the sentiments of a particular community have incited violence in the past. Meanwhile, the slums near Dr Ambedkar area in Khar, remained peaceful after the deployment of a strong police force in the area.